I love this photo of my brother in front of the Detroit City skyline. Sometimes we get knocked down. For a while. We lay there, supine, gazing at the world with hazy longing while an invisible anvil pins us to the bottom of an indifferent river. An eternity ticks by in slowww-motion, tick, tick, while a hundred sunrises and a hundred sunsets quietly stain the sky. But today is a new day . . .
Forty years ago I fled the family nest, which had been uprooted in the early 60s from Detroit to a remote mining town in northern Ontario. It was always my intention to leave, but I visited often over the years, somehow believing that it’s the one who left who must always make the effort. Guilt. It can play crazy tricks with the mind. But guilt for leaving a sad place that was never yours is absurd… especially in that moment when black ice sends your car careening through three feet of powder toward a frozen ravine while your baby screams in terror. The absurd has stubbornly lingered over time… but the gods were with us that day. Thanksgiving. My brother traveled a thousand kilometres in late November for a long-awaited reunion with our family clan in Windsor and Detroit. Cancer and other setbacks had delayed his visit, but here he was at long last. My beautiful, brave, sensitive brother, ravaged by illness and radiation. A survivor. He stayed for five wonderful days – we talked, drank, laughed, and cried, but mostly we marvelled that we had made it this far. As a parting gift, I gave him our father’s helmet . Melancholia. This thing that I naively thought I was leaving behind, in a small mining town so long ago, turned out to be a merciless stalker. Forty years, and thirty moves… apartments, houses, towns and cities. Lots of them, but still… the shadow persists. Just the other night I dreamt that I got the keys to a new apartment (right next door to my son and his family) – one with big windows, a parquet dance floor, and space to paint large canvases. I awoke with a lingering sense of joy that was gone before noon. And then this article from Brain Pickings crossed my path, What Depression Is Really Like. Van Gogh describes it well. Reflection. I think for the first time in my life, I’m finally getting it. The moving thing. Endlessly running from the “black dog” with a carefully crafted rationale obscuring the truth. The truth. I cried for seven hours on this last U-Haul road trip in 2014, the flood-gates unleashed during a farewell hug after breakfast with my best friend, Kelly, in the parking lot at Burger World. Christ, I weep just thinking about it. Writing does that. It brings you to your core. [Postscript] ** After publishing this post I realized the irony in the title, Still Standing. Detroit (the backdrop in the photo) is currently rising out of a long, dark period, and reinventing itself. I love that!! 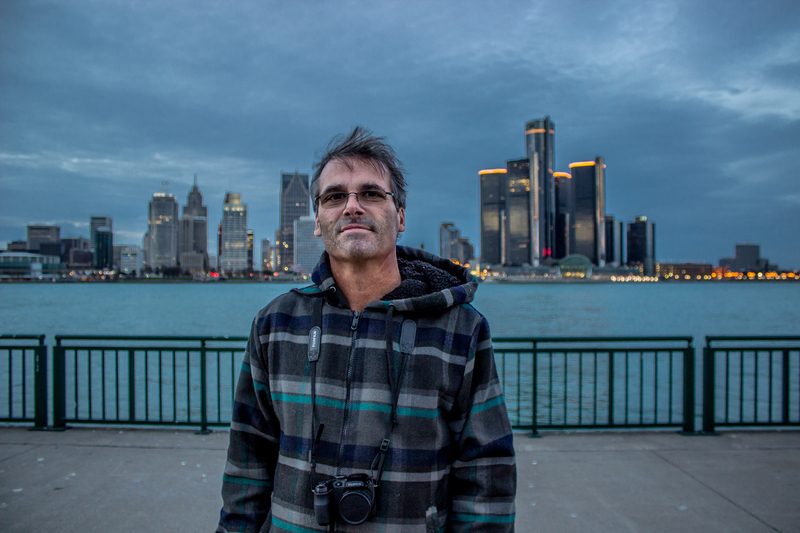 This entry was posted in Anecdotes, Essays, Personal, Photography, Poetry, Writing and tagged Brainpickings, Cancer, Depression, Detroit, Detroit River, Melancholia, Photography, U-Haul, Van Gogh, Windsor. Bookmark the permalink. Stay strong Michelle. You are valued more than you know….